Brazil is unarguably the most successful and popular footballing nation in history, the yellow and blue jersey worn by the national team of Brazil is instantly recognizable anywhere in the world. The Samba boys have produced iconic players over the years, with a lot of their legends considered among the greatest of all time. The attacking and skilful nature of the average Brazilian means that more attention and emphasis is placed on their attack-minded players such as Pele, Zico, Romario, Ronaldo and Ronaldinho and rarely are the defensive players spoken about. Football is a team sport and despite all of their attacking brilliance, a lot of defenders have contributed immensely to Brazil's success over the years. 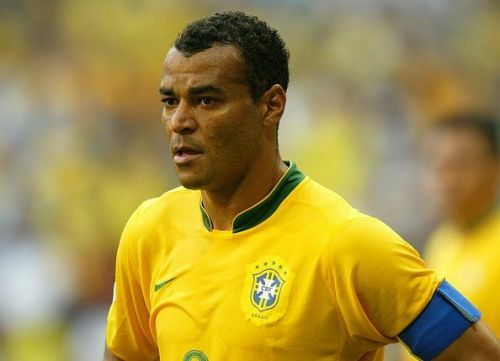 Here are the 7 greatest Brazilian defenders of all time. The most capped foreign player in Roma's history, Aldair was well known for his tough tackling and good technique with the ball. His versatility enabled him to function as a sweeper and when his team was chasing a game, Aldair frequently stepped up into midfield as a makeshift midfielder due to his effectiveness at precise long balls. 'Pluto' as he was affectionately called in Roma joined the Italian capital club in 1990 from Benfica where he spent only one season, winning the Portuguese cup. He had also tasted success in his native Brazil with Flamengo where he won the Campeonato Brasileiro. At Roma, Aldair went on to achieve legendary status, making 330 appearances in the Serie A and won the Scudetto and Super Coppa Italiana in 2001, in addition to the Coppa Italia of 1991. For his achievements, the Rio de Janeiro native was inducted into the Roma Hall of fame in 2012 and had his jersey number 6 retired when he left the club after 13 years in 2003, although the jersey was brought out of retirement in 2013 and handed to Kevin Strootman with Aldair's consent. With the Brazil National team, Aldair was equally as successful, winning 80 caps between 1989 and 2000, scoring 3 goals. He was part of the Brazilian squads at the 1990, 1994 and 1998 World Cups, winning the 1994 edition and finishing as a runner-up in 1998. He also participated at three Copa Americas, winning the continental tournament in 1989 and 1997 and was part of the Brazilian team that won the Confederations Cup in 1997. He was included in the FIFA World XI of 2000.